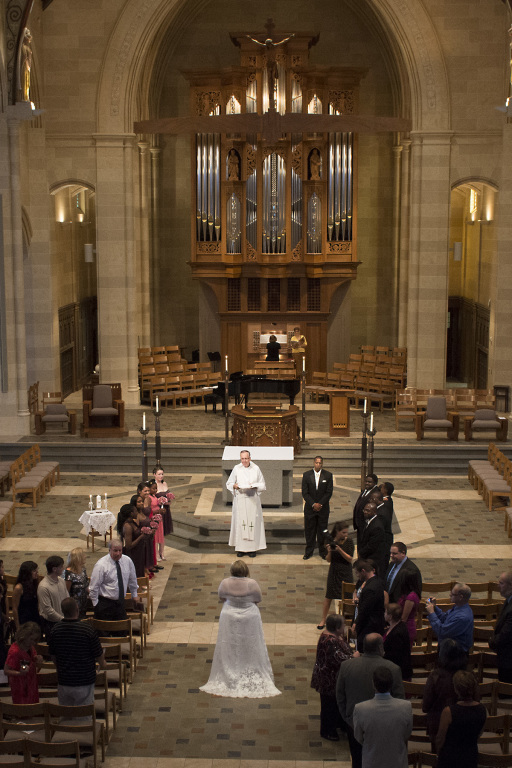 We are glad you chose the Cathedral to hold your wedding! When you initially meet with a priest/deacon, you will receive a red packet of information on the liturgy planning. If you would like to be ahead of game or prefer to view & download some of the files yourself right now, please see the bottom of the page. The planning sheet and Together for Life booklet and Wedding Liturgy Planning Sheet can be obtained from the priest/deacon. Once you have chosen your prayers, readings, and music, please contact Ginny Miller, Music Director at 254-3221, x124 to set up a meeting to review everything.